For groups from 20-200, weekday lunch and weeknight dinner options as well as weekend dates. A special 3-course lunch or dinner menu is available for groups or the menu can be customized for an even more elaborate meal. 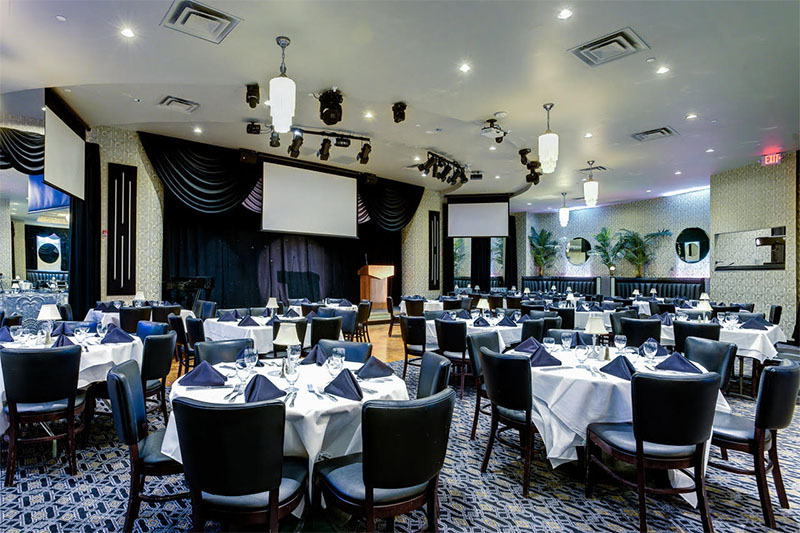 Contact specialevents@thecarlyleclub.com with questions or to book a group. What is the maximum capacity for a wedding? 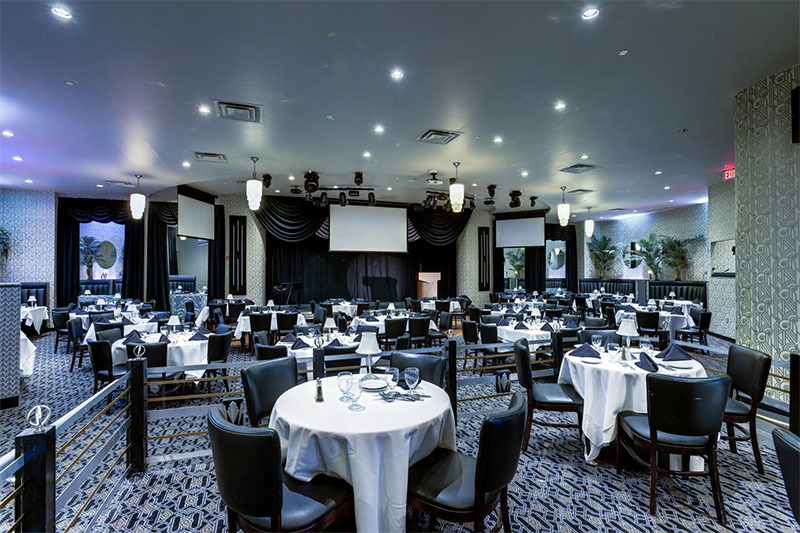 We can accommodate up to 225 for a seated meal, and a cocktail reception maximum capacity is up to 350. How small of a group can be accommodated? We can have groups as small as 20. Are there additional fees beyond renting the facility to be considered? 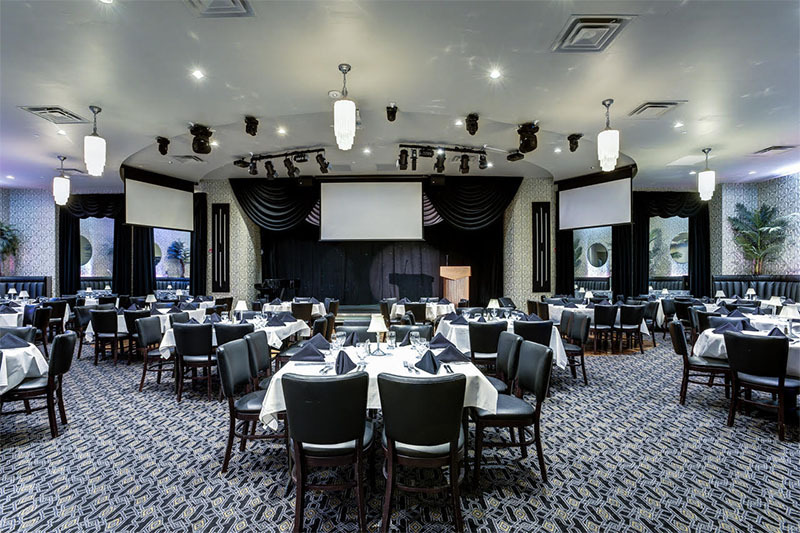 We offer at no additional charge a full state-of-the-art sound and lighting system and full A/V capabilities for private events. Are there minimums for a group event? Yes, there is a food and beverage minimum for larger groups. Contact us for the details. Is there a charge to book the Club in addition to the catering and drinks? No, and this is a huge savings for many groups. Yes, the Westin Alexandria and The Residence Inn at Carlyle are both in walking distance. These two hotels are also partner hotels, which means they offer room rate discounts for wedding attendees at our venue. We are located at: 2050 Ballenger Avenue, Alexandria, VA 22314. 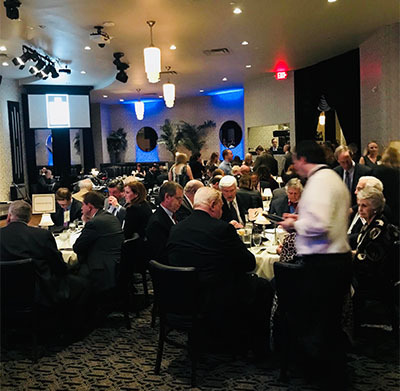 Groups planning private events find us convenient with ample parking, walking distance from the King Street Metro, and only 10 minutes outside D.C.
Is parking available at The Carlyle Club? Street parking is available as well as a parking garage beneath the Club. To access the parking garage, take the first right past the restaurant in the roundabout, and then take the first right onto Ballenger Street. Our parking garage is on the right. Take the elevator with The Carlyle Club sign to the first floor, and our entrance is directly off the elevator. For more information or to book a group, contact specialevents@thecarlyleclub.com.